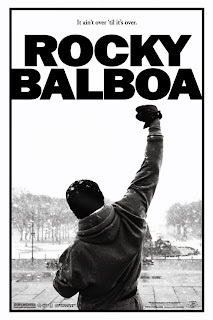 30 years after Rocky, this movie is a testament to Sylvester Stallone as an artist, a writer, and a director. Yes, Stallone dawns many hats in this movie and does an amazing job. With age comes maturity and a profound meaning to life. If you ask me the entire Rocky series is brilliant, it shows a beautiful story of a man’s journey, a tough one filled with hope and despair weaved hand in hand. A journey with the highest of highs and the lowest of lows, an endless circle of proving oneself, Rocky (Sylvester Stallone) does it one more time and this time it’s for himself. The stage is set four years after the death of his beloved Adrian (Talia Shire), Rocky now a man that remains of what time has left behind, reminisces of his glory days. As his heart aches for his dear Adrian, a monster inside him grows. Now he must unleash it or be consume by it. The movie starts off with an aged Rocky who lives off his glory days, with his wife’s passing everything around him reminds him of her, and the problems he has with his son doesn’t make it any easier. Not knowing what to do, Rocky turns to what he does best, fight! The movie sparks off with Rocky renewing his boxing license, and a computer match between him and the current champ Mason 'The Line' Dixon (Antonio Tarver) sets the stage for a “dream match” Rocky vs Dixon. Dixon the current champ with an undefeated record, hated by the public aims to get the only kind of respect that matters, self respect. What will happen? Who will win? Can Rocky actually pull one last victory? Well, watch this beautiful movie and find out.